The famous exhibition of wax figures has a remarkable history. 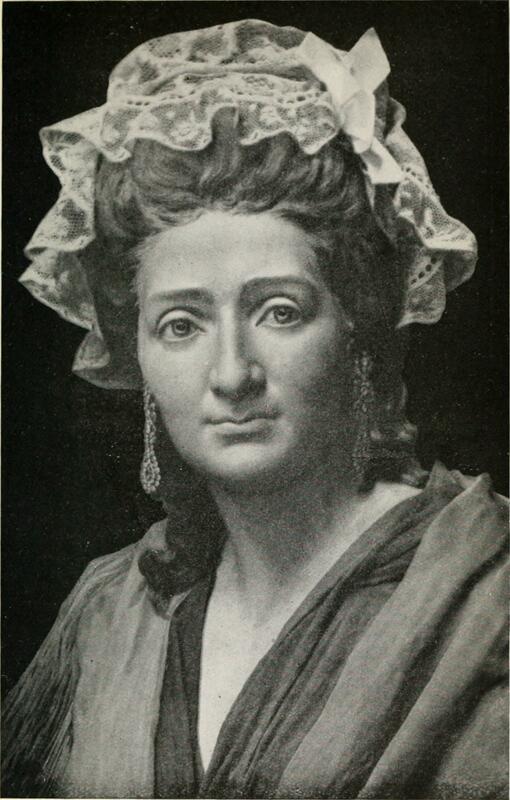 Madame Tussaud was taken, by her mother, to Bern in Switzerland from Strasbourg after the death of her father in the Seven Year War. Here she was employed by Dr Phillippe Curtius , a physician, who was well-known for his anatomical wax models. He moved to Paris and took his young apprentice with him (she was only 6 years old). Her very first wax model was of Jean-Jacques Rousseau in 1778 and she began showing a remarkable talent. By the time she was 17 she became the art tutor to King Louis XVI’s sister, Madame Elizabeth, at the Palace of Versailles.During the French Revolution she was imprisoned for 3 months awaiting execution, but was released due to the intervention of an influential friend. To show her allegiance to the Revolution Madame Tussaud was forced to make death masks of the aristocracy who had been guillotined (which included the King and Marie Antoinette). The masks were put on spikes and placed in the Place de la Concorde for display.After the death of her mentor, who left her all his masks and waxworks, Tussaud decided to start a new life across the waters in England in the early 1800s. She spent the next 36 years taking her travelling show across the British Isles, seeking fame and glamour. The show gave ordinary folk the opportunity to see famous figures they had only heard about. 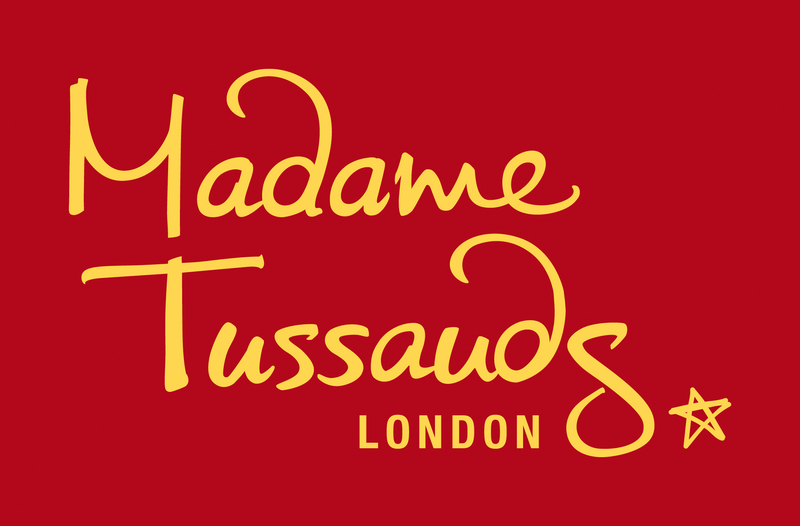 In 1835 Madame Tussaud & Sons set up a permanent exhibition on Baker Street, called the Baker Street Bazaar. Visitors paid sixpence to see the waxworks, the famous Chamber of Horrors, artefacts from the French Revolution and the guillotine believed to have been the one used to execute Marie Antoinette. In 1884 the exhibition moved to its present location in Marylebone Road. A panel of senior executives consider requests and current events when deciding on wax models. They then put 30 sculptors and many specialist technicians to work out of the west London workshop. The first sitting for a waxwork lasts at least 4 hours and over 200 hundred photographs are taken from every angle, and every conceivable measurement is taken. Hair samples and false eyes are taken to the sitting to get the colours as close as possible to the real thing. And even an impression of the famous person’s teeth and a plaster mould of their hands are made. The first model of the heads are made of clay and when the okay has been given to start on the actual wax work, translucent wax is used to make it look like human skin and many layers of oil paint is used to get the skin tone, veins and freckles absolutely right. Inserting over 10,000 individual hairs can take over 4 weeks. It’s the detail that makes the difference. 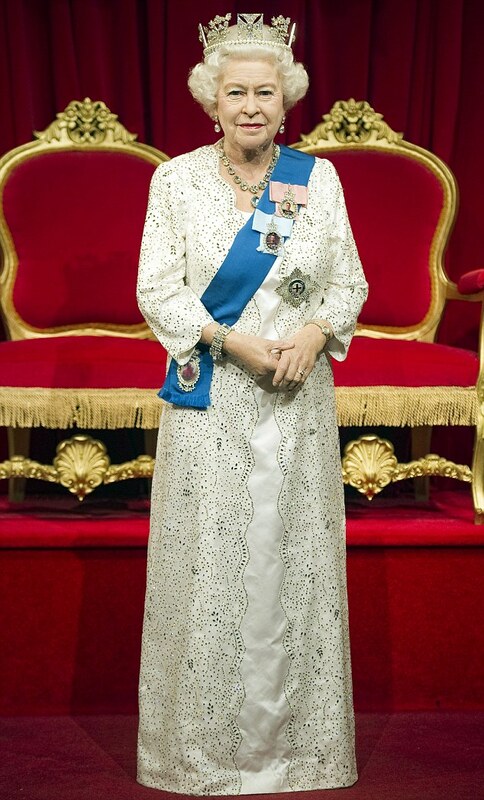 After 4 months of hard work, Madam Tussauds has just unveiled their 23rd waxwork of the Queen for the Diamond Jubilee celebrations at a cost of over £150,000. Her dress is decorated with over 53,000 Swarovski crystals and she is wearing a copy of the state diadem, created in 1820, and copies of jewels which belonged to Queen Victoria.Politicians, pop stars, actors, sports stars…famous people are still the draw of the museum. With branches across the globe, visitors from Las Vegas, Shanghai and Berlin, to Sydney, Hong Kong, Amsterdam and more, can keep Madame Tussaud’s dream of sensationalism and her dark tourism alive.